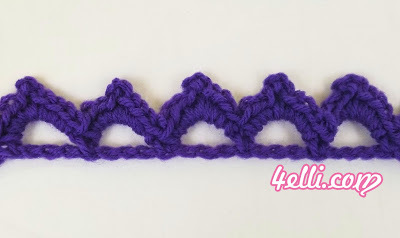 How to crochet the picot scallop edge!! Row 1: 1sc into the 2nd chain from hook, *chain 5, skip 3, 1sc into the next chain*, repeat from * to * across. Row 2: chain 1, turn, (4sc,ch3,4sc) in each chain - space across. in the end of row 2 finih your work.